Join USATF-CT at White Memorial Foundation and Conservation Center in Litchfield on November 13th for the 2016 USATF-CT Junior Olympic Cross Country Championships. Register online here! Registration will close November 10th. All participants must be USATF-CT members and have their age verification paperwork completed by November 7th. Time: Number pick-up starting at 8:00am at the Activity Shed. Course will be open for individual walks at this time. 2k,3k,4k and 5k maps available. Adult 5k race at 9:am. ENTRY PROCEDURE & FEES: Entry is ONLINE ONLY. Club Administrators and Unattached Athletes should register online at Athletic.net Entries close November 10 at 12:00 Noon. Day of or late entries will not be allowed. An entry fee of $6.00 must be paid online by the close of registration. USATF prefers VISA; electronic checks will also be accepted. Accuracy of data entered is the responsibility of each club and/or athlete. Please validate data within athetic.net for accuracy prior to submitting entry. An instructional video on the online registration process may be accessed here. No entries day of meet! All competitors must have a current USATF membership. This must be done on line at www.usatf.org before registering for the meet on Athletic.net. You also need to verify the proof of birth by contacting the Connecticut membership chairman at 203-392-6508 (fax) or scan to jwbarber0917@sbcglobal.net. AWARDS: Medals given in each race to the top fifteen finishers. Advancement to Regional: The top 30 individuals and top five teams advance to the region 1 meet. At Saratoga Springs SPA November 20, 2016. NOTE: IN THE 8 & UNDER DIVISION, ONLY 7 AND 8 YEAR OLDS CAN ADVANCE TO THE NATIONALS IN Hover Alabama. SUB-7 YEAR OLDS CANNOT ADVANCE. COURSES: All four courses are run over trails. The 2k has one small hill at the 1k mark. The 3k is flat with one hill near the end. The 4k and 5k have a hill at the 1.5 mile mark with an elevation of 134’. Leaves, roots, deer, tree squeeks, and possible puddles or snow will be encountered. Long-sleeve shirts for sale in the Activity Shed. 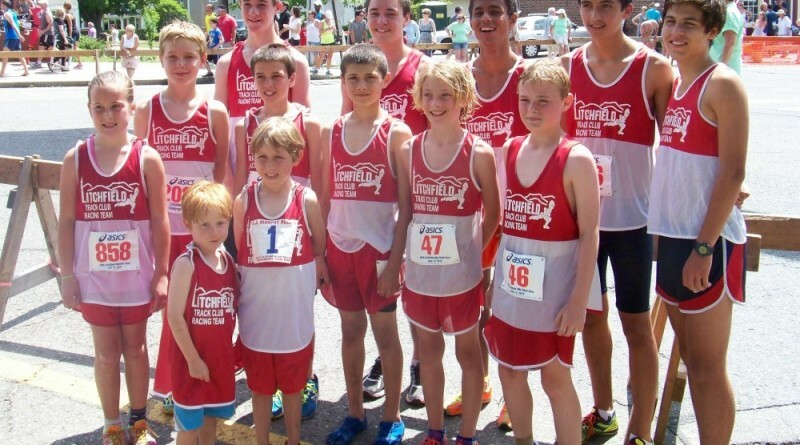 Litchfield Lions Club will sell breakfast and lunch items in the Shed or at the finish line, weather permitting.